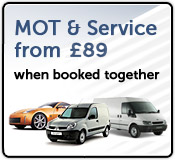 Clifmere MOT Centre is an independent garage located in Allenton, Derby (near the Showcase Cinema). We undertake all types of work from MOT (including class 4 and 7), servicing and general repairs to auto-electrical, specialist tyre fitting, heavy engine work and diagnostics. We also sell batteries, tyres, high performance oils and car accessories. Get your Air Conditioning sorted for just £49 (inc VAT). Contact us to arrange & we'll keep you cool this summer. 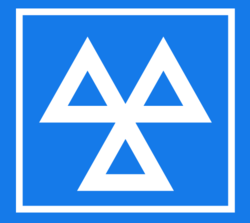 Our MOT rates are highlycompetitive and we will only carry out repairs that are necessary to your vehicle's safety and performance. Using approved parts only, we work to the same standards as the main dealership but our prices are lower! We pride ourselves in offering great service and low prices ; we will never add any ‘extras’ to your bill without prior authorisation. Furthermore, a ll new parts supplied and fitted by Clifmere also come with a 12,000 miles/12-month warranty. 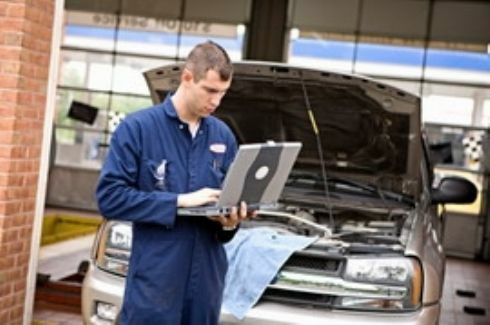 For your complete peace of mind, any maintenance and repair work that Clifmere MOT Centre undertakes on your vehicle will not invalidate its warranty (provided the vehicle is still within its warranty period).
" 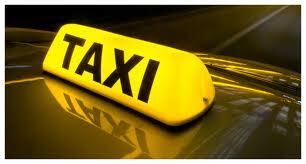 My family have been going to Clifmere for several years and get excellent service. Lovely friendly professional service and not over priced like most. I wouldn't go anywhere else. And Lydia is brilliant at giving good advice and delivering a good service. I can't fault Clifmere... Many thanks to all the team"
"Very pleased with the service received over the past 14 years for my MOT, Service and Repairs at Clifmere, have also recommended to my two daughters!" "I am very satisfied with the work Clifmere has carried out on my car, they are always friendly and easy to approach - and the pricing is very competitive"